Congratulations to Affiliates making news this week! 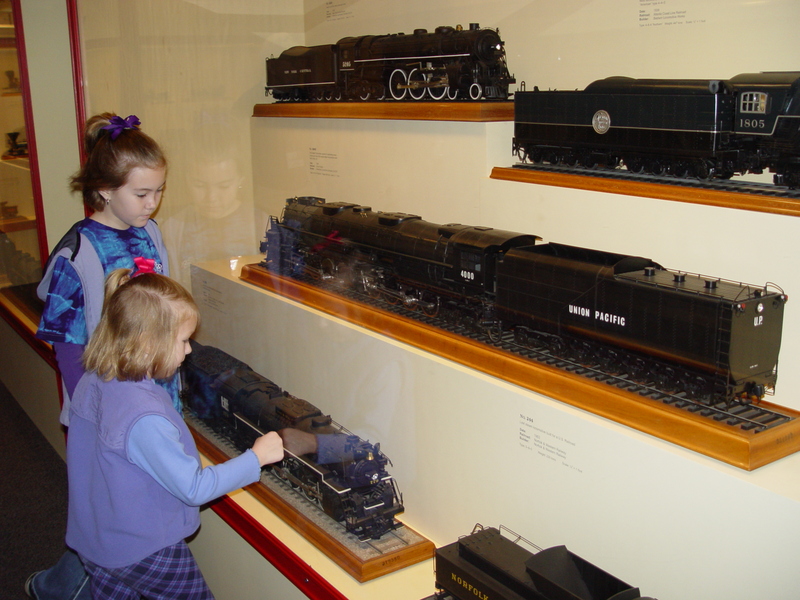 Railroad scale models at the Baltimore & Ohio Railroad Museum. The largest Smithsonian object â€”the Saturn V Rocketâ€” is on loan to the U.S. Space and Rocket Center (Huntsville, AL). The Saturn V successfully propelled the Apollo II crew to the moon’s surface on July 20, 1969. 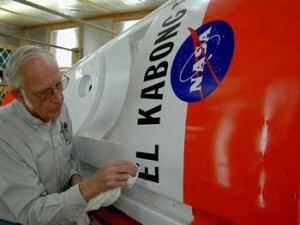 It was designed and built in Huntsville and consisted of more than 3 million parts, making up 700,000 components. 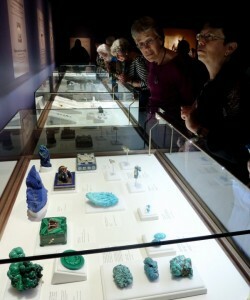 "All That Glitters" at San Diego Natural History Museum. 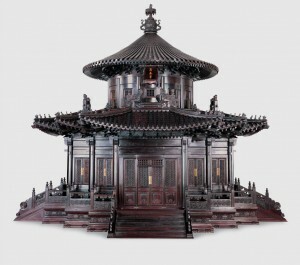 The Ten Thousand Springs Pavillion, an intricately carved, one-fifth scale model of classical Chinese architecture which stands within Beijingâ€™s Forbidden City, is on view at the Irving Arts Center (Irving, TX). 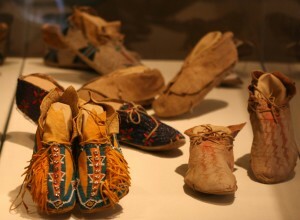 NMAI artifacts on view at Historic Arkansas Museum. 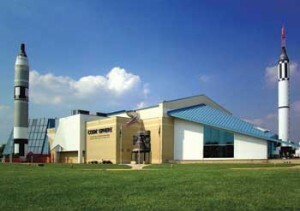 Â Historic Arkansas Museum(Little Rock, AR) has about 50 Native American artifacts on view from the National Museum of the American Indian in their “We Walk in Two Worlds” exhibition. 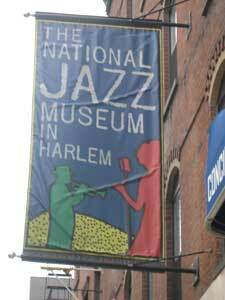 Find a Smithsonian Affiliate in your neighborhood! 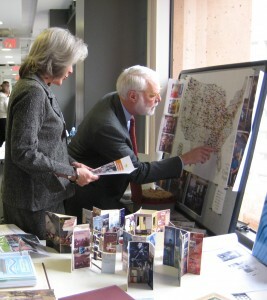 Secretary Clough reviews SITES' exhibition venues across the country, including Affiliates. Photo: Ruth Trevarrow, SITES. I wish you an advance welcome to the 2010 Smithsonian Affiliations National Conference in the nationâ€™s capital. I will not be able to join you this year because I will be in Basel, Switzerland with Hirshhorn Museums and Sculpture Garden director Richard Koshalek for the international art show there. More than most, you know that the Smithsonian offers a world of artâ€”as well as history, science and culture. 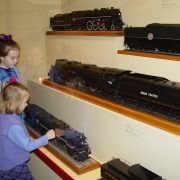 Thanks to our productive partnerships, we are making more of these treasures accessible to audiences around the county. Over the past two years, I have visited several Affiliate museums and experienced first-hand the impact of your impressive work. I applaud the wonderful job that you are doing to bring Smithsonian artifacts, exhibitions, and curators to your communities. This is a vital public service, especially in todayâ€™s economic climate. This year, Harold Closter and the Affiliations staff again have created an informative conference agenda filled with a variety of sessions and workshops so that we can learn from each other and strengthen our partnerships. I am particularly pleased that you will be discussing the Smithsonianâ€™s Strategic Plan and the four â€œGrand Challenges.â€ I look to forward to hearing your thoughts on how we can best implement this vision for the future. Enjoy all the sessions, as well as the Congressional Reception at the Capitol Visitor Center.Â Thank you for your ongoing interest in the Smithsonian. 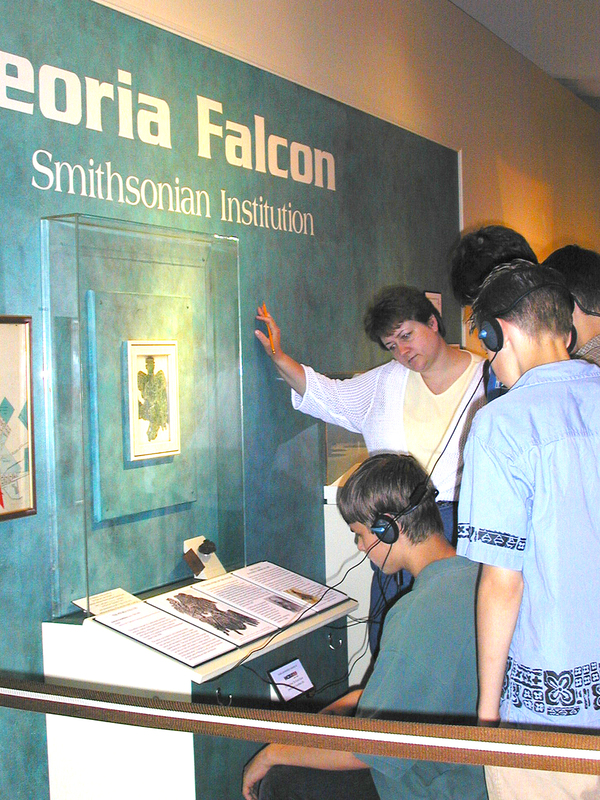 For more information about the 2010 Smithsonian Affiliations National Conference, click here. https://affiliations.si.edu/wp-content/uploads/2010/05/secretary-267x300.jpg 300 267 Laura Hansen https://affiliations.si.edu/wp-content/uploads/2019/03/si_Affiliations_rgb_single-line_color-280w-1.jpg Laura Hansen2010-05-23 12:00:292017-03-10 17:49:32welcome to washington, affiliates! The Smithsonianâ€™s new strategic plan identifies four grand challenges that call for the Smithsonian to broaden access and reach new audiences. These four topics, along with our continued dedication to revitalizing education, will define the work at the Smithsonian as we begin a new era. 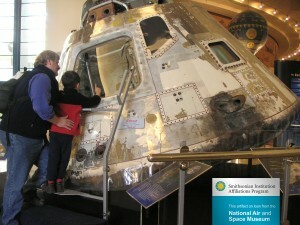 Itâ€™s an exciting time to be at the Smithsonian, and an exciting time to be an Affiliate. 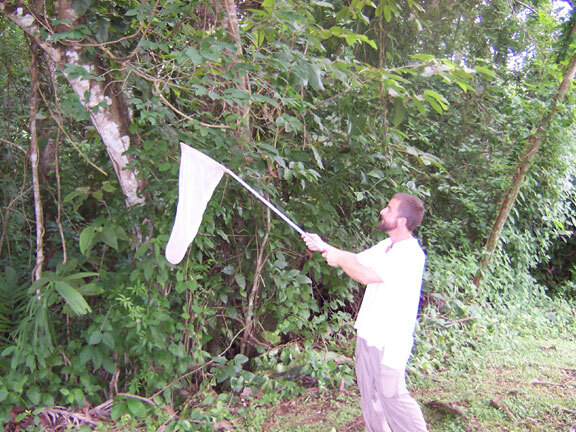 On Monday, June 14, 2010, Smithsonian and Affiliate staff will come together to explore the Grand Challenges and brainstorm potential collaborative opportunities. The session, Smithsonianâ€™s New Grand Challenges Offer Grand Opportunities for Affiliates, has something for everyone. 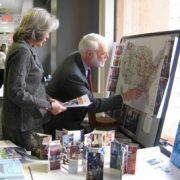 Whether youâ€™re looking to learn more about our strategic plan or would like to offer your expertise on one of these topics, weâ€™ve included Smithsonian staff working on some of the most interesting projects at the Institution for you to find inspiration. Leading in the quest to unlock the fundamental secrets of the cosmos, the Smithsonian will delve into cosmic mysteries through exploration of our own solar system, meteorites, the Earthâ€™s geological past and present, and the paleontological record of our planet. What does the history of the exploration of the cosmos say about us? 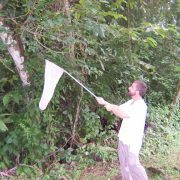 The Smithsonianâ€™s hundreds of researchers across our scientific museums and centers will work with our collections to significantly advance our knowledge and understanding of life on Earth, respond to the growing threat of environmental change, and sustain human well-being. How will your organization get involved? 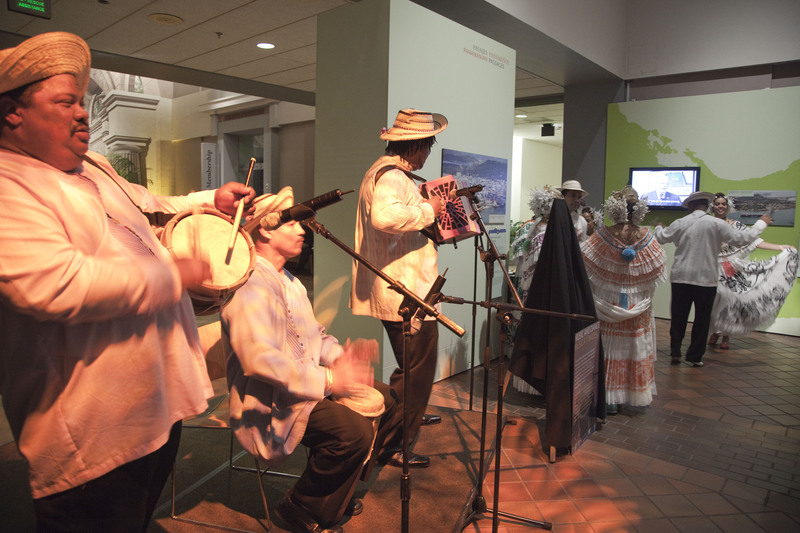 Opening of the Museo del Canal Interoceanico de Panama's exhibition Panamanian Passages at the Smithsonian. Through our research, collections, exhibitions, and outreach, the Smithsonian will present the diversity of world cultures with accuracy, insight, and reverence. Discuss how you can help promote greater understanding of, respect for, and meaningful engagement among the worldâ€™s peoples and cultures. 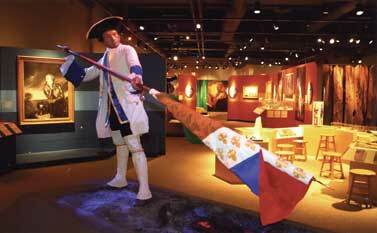 Clash of Empires: The British, French & Indian War, 1754-1763 at the Senator John Heinz History Center. 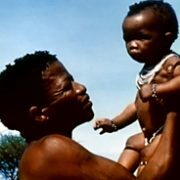 Understanding how diverse peoples have become one nation; how that nation has been shaped by various communities, individuals, leaders, inventors, heroes, and artists; how it has changed over time; and how our history, art, and culture connect to the world are of vital concern today. Explore what it means to be an American in this roundtable and how the disparate experiences of individual groups strengthen the whole, and help to share our story with people of all nations. Smithsonian Week in Long Beach, sponsored by the Arts Council of Long Beach. 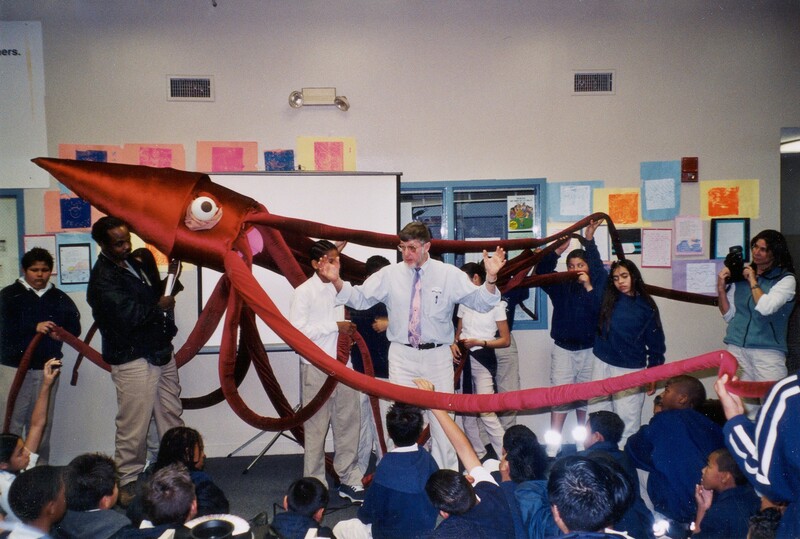 The Smithsonian will serve as a laboratory to create models of innovative education. Discover how you can play a role in educational efforts across the Smithsonian, as we create a pan-Institutional approach for education that leverages resources, strengthens communications, coordinates programming, and rewards inventive thinking and collaboration. Congratulations to these Affiliates making headlines! can your museum save the world? 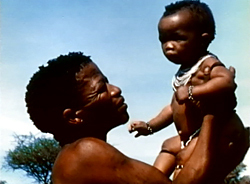 The John Marshall Ju/'hoan Bushman Film and Video Collection, which documents the lives of a group of Ju/'hoansi (!Kung San Bushman) in Namibia, is held at the Human Studies Film Archives at the National Museum of Natural History. This audiovisual collection is unique in the world for its focus on one group of people over such a long period. 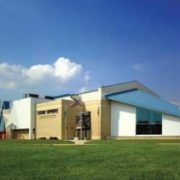 We want to share examples from Affiliateland, and ask any questions you may have.Â Â Should museums try to save the world? https://affiliations.si.edu/wp-content/uploads/2010/05/Namibia3.jpg 184 250 Jennifer Brundage https://affiliations.si.edu/wp-content/uploads/2019/03/si_Affiliations_rgb_single-line_color-280w-1.jpg Jennifer Brundage2010-05-21 12:00:092017-03-10 17:49:31can your museum save the world?